Wales is raising its profile. Welsh bands are at the top of the pop charts. 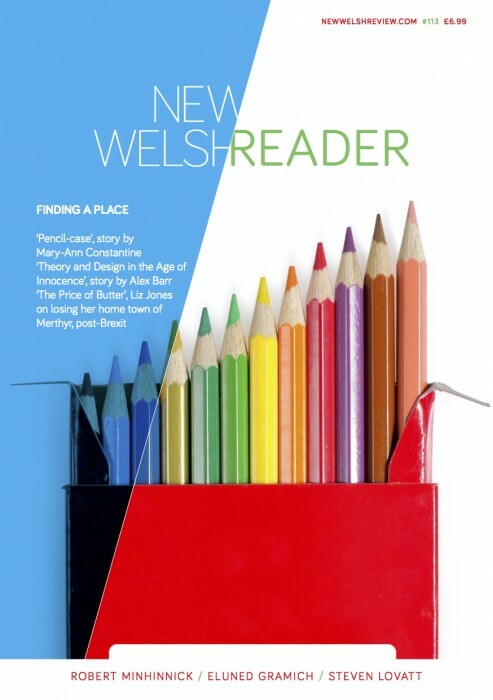 The Arts Council of Wales is consulting on "Building a Creative Society". Digital technology is triggering a big expansion in broadcasting from Wales and Welsh events are suddenly making international headlines - most notably Ron Davies's resignation and the intriguing contest over the Labour leadership of the National Assembly. Historic first elections to that new democratic forum, which will take over responsibility for supporting arts and culture from the Secretary of State for Wales are less than six months away. The "New Wales" promised by devolution will soon be upon us. All this ought to be the signal for an upsurge in, and encouragement of, artistic confidence and endeavour. However, in practice, the mood is one of great uncertainty, even crisis. The problem is partly money. The Arts Council of Wales's budget has been cash frozen for the past three years, forcing a major shake-up in the arts bureaucracy and putting a comparable financial squeeze on Wales's professional artistic community. The squeeze coincided with the reorganisation of local government which, for a variety of reasons, has led many of the new unitary authorities to curtail their funding of the arts substantially. National Lottery fund largess, distributed according to different criteria, have only been a partial substitute. Comparable treatment would mean the arts in Wales getting at least an extra £6.5m. £576m is spent in Wales. But the uncertain mood is not just caused by money. It also reflects institutional uncertainty. The system of state arts patronage established by John Maynard Keynes at the end of the Second World War, which the Arts Council best represents, is being questioned as never before. National Assembly may decide to leave things broadly as they are - keep ACW as the cultural bureaucracy and ostensibly maintain so-called "arm's-length principle" guaranteeing artistic freedom from political interference? But somehow it seems doubtful. Artists attending an Institute of Welsh Affairs seminar on the Assembly's political agenda earlier this year (now compiled into a book. The National Assembly Agenda: a Handbook for the first four years, IWA, £19.95) were quite certain what needed to be done. Assembly members should seize the initiative and draft nothing less than a national cultural policy - and then decide how it should best be delivered. However, so far at least, there are no signs that the political parties who will fight the Assembly have yet given arts and culture much thought, let alone devise appropriate policies.